This is it, this is where it all begins, 3-2-1 and your air born, unbelievable!! That’s the usual response, I can't believe I was flying!! Take your first weightless steps down our training slope, learning how to launch, control your glider, and land. 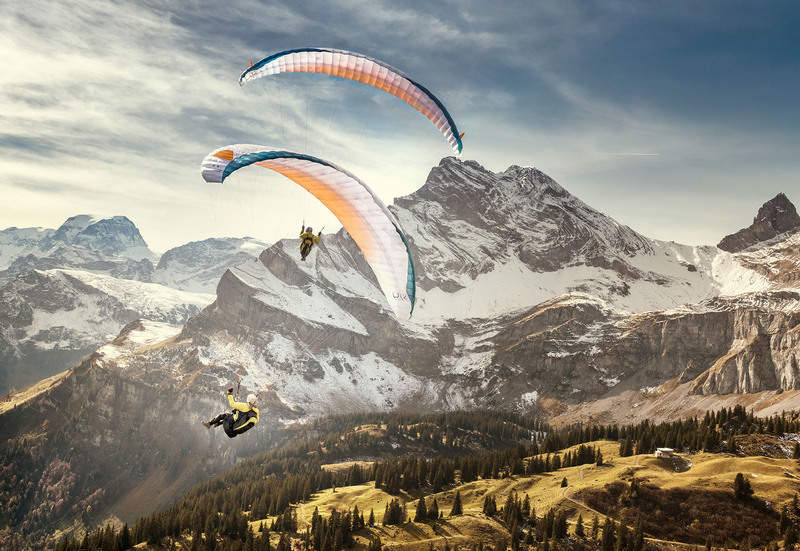 Then achieve your first 50m high flights on the `Training hill`, learning how to control your glider in flight and perfecting your take-offs and landings. You will be carefully guided through every stage with our experienced instructors, and during all your flights you will be controlled via radio. Basic theory will also be covered if you intend to carry on to the next level (PG1) maximising safety, learning and your intro day experience. Ultimately though we aim to have fun on the intro day, that’s what it`s all about!! The PG1 allows you to achieve high flights and get a feel for the sport. If you have limited time, maybe you are on holiday in Queenstown, or you can only get a few days off work then the PG1 could be for you.